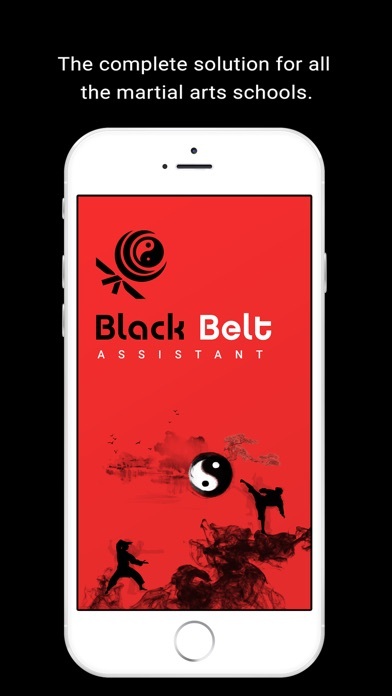 Download Black Belt Assistant on the AppStore. Improvements regarding user experience, payment plans, free subscriptions and hot fixes. With a new compatibility. 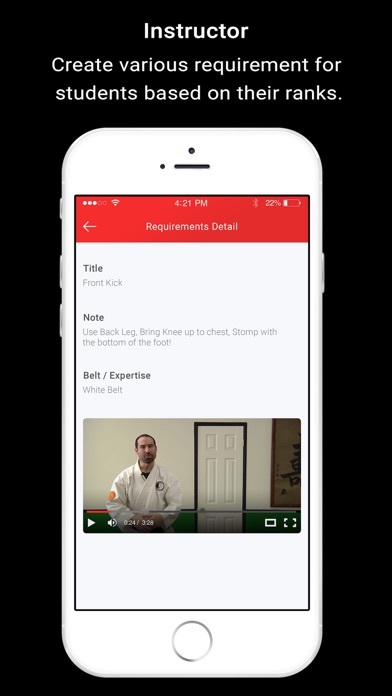 The Mobile App designed for all Martial Artists! 1)	Instructor creates profile ($10 per month) and inputs their unique teachings. 2)	Students sign up under instructors (or schools) profile. 3)	Students get access to all text-based information uploaded by instructor (Video access is $5 per month). 4)	70% of student video revenue goes back to their Martial Arts school! The Black Belt Assistant allows instructors to use the app as an empty chalkboard to fill in all of their own unique teachings with notes on how to perform them and even videos! 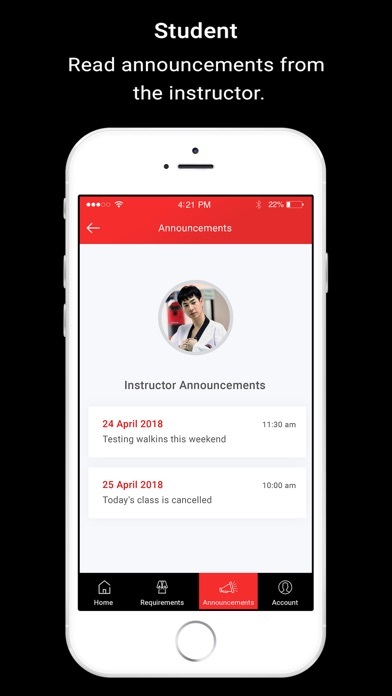 Instructors also get the ability to send out announcements or reminders as push-notifications, directly to the students phone (no more pesky low email open rates)! Instructors can also monitor what students are signed up and can see who is utilizing the monthly video access! 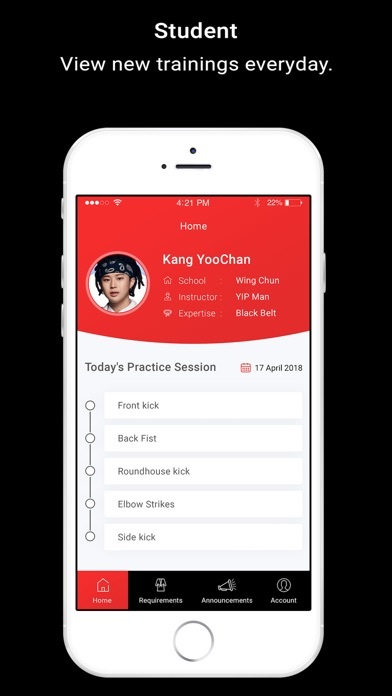 After connecting to their instructors profile, students get access to all text-based (moves and notes) information uploaded by their own instructor! No more googling how to do moves! Access to video uploaded by instructors is only $5 per month! Students get a “Todays practice session” which will show a random set of moves assigned by their instructor. Students also get notifications of announcements and reminders from instructors, along with access to the last few announcements sent! The payment will be charged to your Apple iTunes account, and it will be charged within 24 hours before the end of the current period. You can turned off auto-renewable at any time by going to your settings in the iTunes Store after purchase.